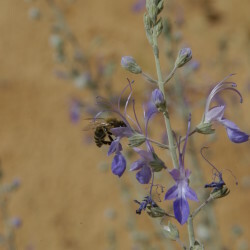 Teucrium oliverianum has the common Arabic name aihan or qasba’a. 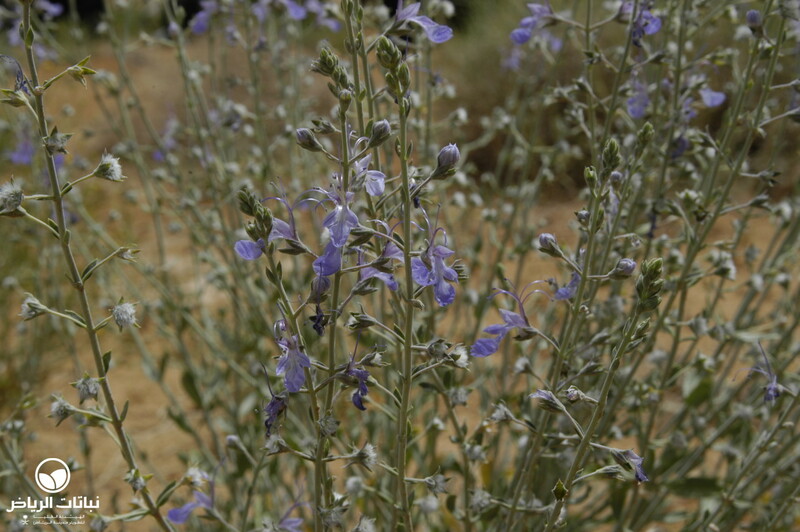 The English common name is Germander. It is native on the Arabian peninsula. 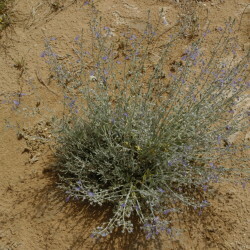 Aihan is a subshrub and herb with long, erect branches. It reaches a height between 40 cm and 70 cm, growing like a dwarf shrub. The foliage is evergreen to semi-evergreen. The leaves are green on the top and olive-green underneath. The triangular leaves are entire and oppositely arranged. 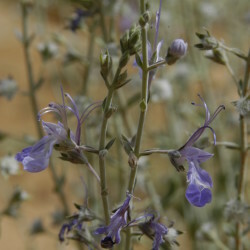 The bloom appears in spring, with beautiful blue-violet Lamiaceae flowers with long stamens. That and its shape make T. oliverianum an attractive ornamental plant. The plant develops nutlets as fruits. Propagation is by direct sowing. 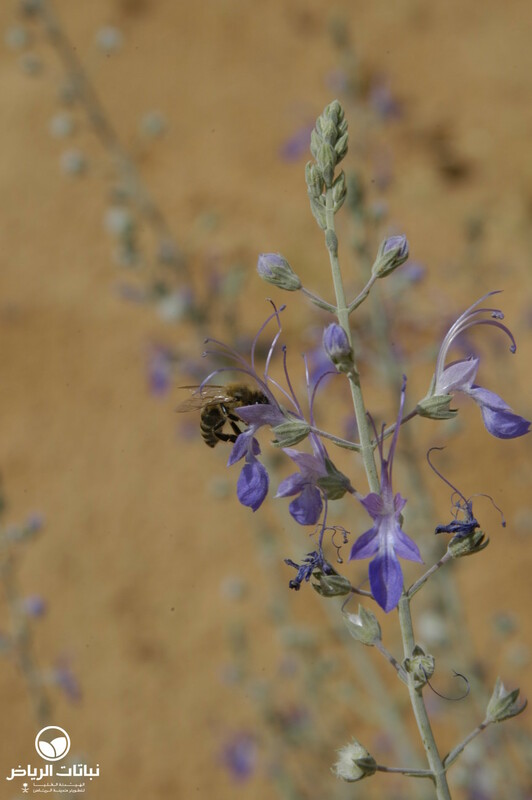 Aihan does not like salinity, but in all other characteristics it is completely well adapted to desert conditions and appreciates sandy, silty or rocky soils. 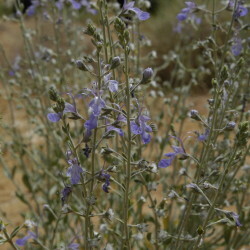 Teucrium has no special irrigation requirements, although irrigation would optimise growth and flowering. Pruning will densify the shape. 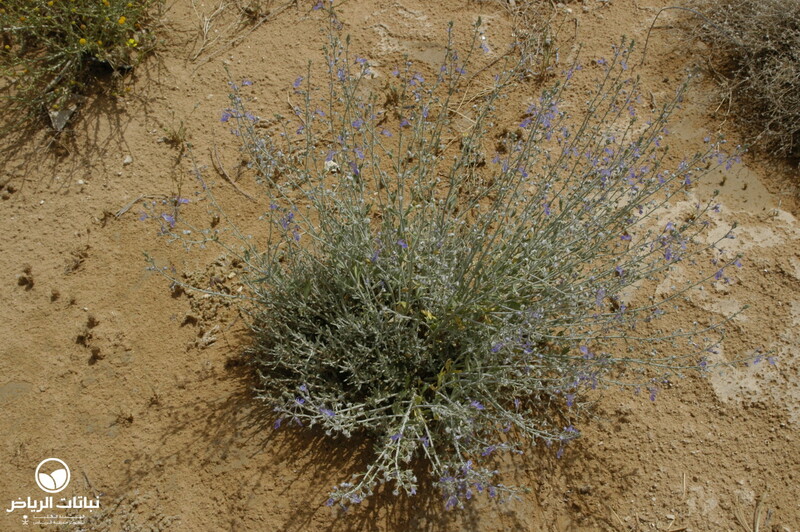 Teucrium can be found in Arriyadh and its surroundings, especially adjacent to dry run-offs. It is really eye-catching, and cannot be ignored. 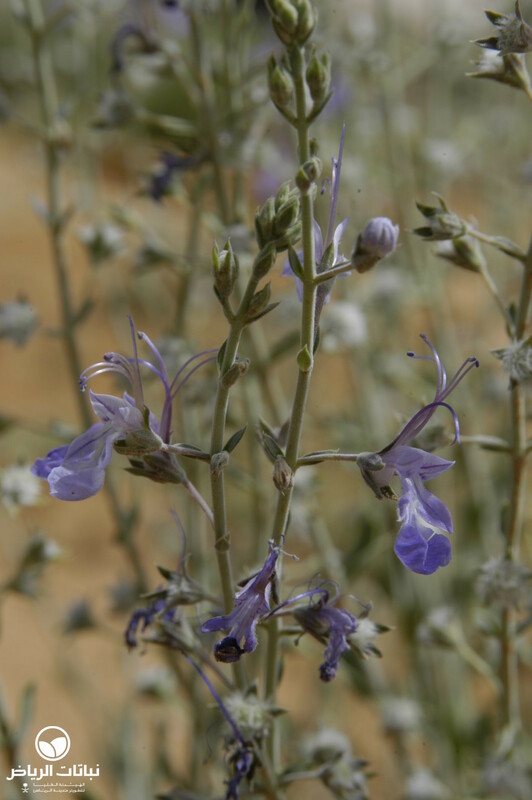 The abovementioned attributes make the Germander very valuable for landscape design in Arriyadh. It is recommended for use as a ground cover, massed planting, as borders or in rock gardens. This bee-attracting plant can be used in private gardens, or it has potential as an ornamental plant in the urban design. For open country, it should be used for the rehabilitation of natural plant cover.